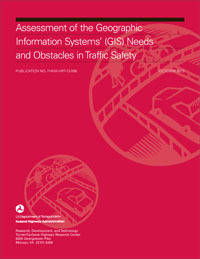 The U.S. Federal Highway Administration (FHWA) has released a report that explores the use of GIS for safety decision making at the state and local level, and considers opportunities for FHWA to use this technology to improve highway safety.The report found that while states are not generally using the full capabilities of modern GIS software to support advanced safety data analysis, most States are looking forward to enhancing their GIS and making use of advanced techniques in the future. States are aware of the MAP-21 requirements for statewide basemaps and a linear reference system that includes all public roadways, but cite administrative and technical barriers to success. The report includes recommendations for FWHA to help agencies overcome these challenges including tools, marketing and training, and research to fill gaps in knowledge.